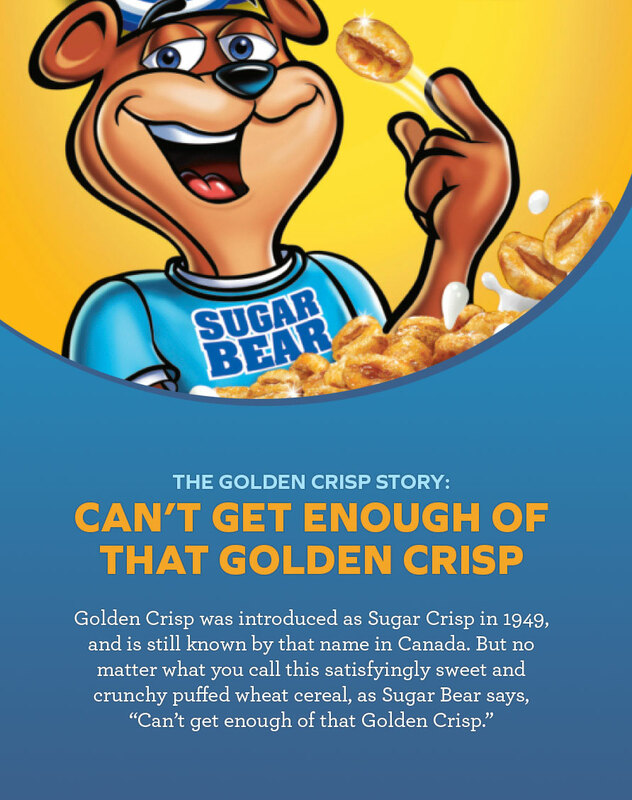 Sugar Bear went from hip to hero in the 1980s, turning into “Super Bear” when he ate Golden Crisp. Suitably, “It’s got the crunch with punch” was added to the jingle. Today, Sugar Bear is living the sweet life and entertaining fans on Facebook. Like his page to chill with him and see what he’s been up to. Nam tortor leo, sodales sit amet eleifend ut, finibus ut urna. Pellentesque viverra molestie velit ultrices eleifend.